CEDE is one of the most important gatherings of the Dental industry in Central and Eastern Europe. For the first time in its history CEDE utilised a formula that is very familiar to participants of FDI Congresses and the ADF Congress in Paris. “It is our hope that the Congress will act as a driving force for dental education in Poland as well as serve as a showcase for Polish dental science and practice abroad. We have much to be proud of and intend to be very vocal about our achievements. 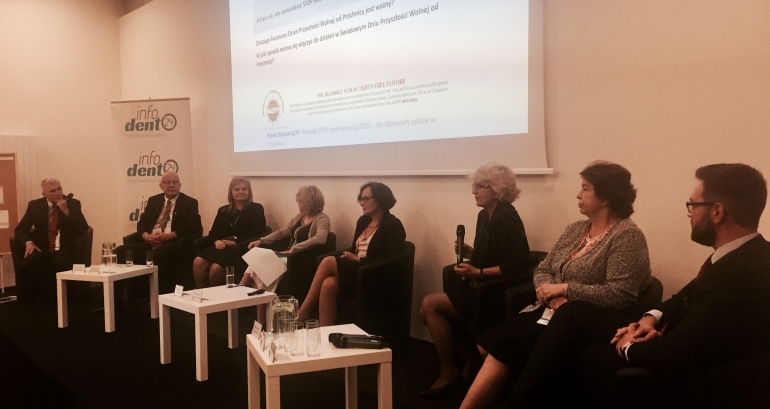 Here in Poznań, and alongside an exhibition, the Congress offers the best possible conditions for such a project,” stresses Professor Marzena Dominiak, chairwoman of the Scientific Council of the Congress and a member of the FDI Educational Committee. A total of 220 firms, including 41 from outside Poland, pitched their products at CEDE 2017. “Kol-Dental (Plandent Group) has been exhibiting its products at CEDE for many years now. This is an occasion that abounds in opportunities for meeting clients, bothin a business as well as a more informal setting. The number of guests who came to our stand speaks for itself, as did their delight at what we offered and their praise for the team of people we work with. What more could we ask for?” claims Laura Latuszek, Marketing and PR Manager for Kol-Dental. “Our return to CEDE after several years’ absence was a resounding success. We showed off a number of our innovations and pointed out new trends in both dentistry and dental technology.” says Artur Podolski, Managing Director and Chairman of the Board of Marrodent (Henry Schein Group). The educational part of the event consisted of the following: thematic panels, HOT-TOPIC discussions, sessions of both scientific associations as well as dental organisations, presentations of the best student, PhD and post-doctorate projects, and workshops. For the first time, dentists in Poland had the opportunity to train on human cadavers. The Congress featured more than 100 lectures, workshops and courses led by 123 lecturers from all over the world.